In the current climate of Islamophobia, I wonder how many British people are aware of the series of four films “Calling all Muslims!” made in the early 1960s by the Central Office of Information on behalf of the Foreign Office? They were all recruitment films, each about 20 minutes long, in Arabic, expressly designed to encourage Muslims to come to Britain and to work in British industries or to study in British universities. Each of the four films begins with a mosque skyline and melodic chants of Allahu Akbar, the start of the call to prayer. All are unashamedly religious, eager to show Arabic-speaking Muslims how welcoming Britain is, how Islamic institutions exist in Britain to cater to their cultural and religious traditions, as a friendly home from home. It is a simple message reminiscent of Andrew Graystone’s open and welcoming placard as he stood outside his local mosque following Friday’s horrific massacre of Muslims praying in their mosques in Christchurch New Zealand. Smiling his support and solidarity with his Muslim community, it simply read: “You are my friends. I will keep watch while you pray.” He is a resident of Greater Manchester, a mixed and multicultural area where tensions could easily exist if the community succumbed to mutual mistrust. In one of the Foreign Office’s 1960s “Calling all Muslims” recruitment films the presenter does a tour of London’s universities, including SOAS and the LSE, where an Iraqi student marvels that it is like “an international society”. The British government shows “an interest in widening cultural boundaries” which he has observed over the five years he has lived in London. At the Saudi Embassy a Saudi official describes the British people as “polite and patient, with such a big respect for order as to make it almost sacred.” A scholar at the Islamic Cultural Centre on Park Road explains that King George VI gave this land to the Muslim community in 1944 and that a mosque will be built there, in Regent’s Park, once the community has gathered enough donations. In the film from Manchester, sometimes dubbed the “Cosmopolitan Cottonopolis”, the presenter enthuses about the city as “one of the biggest trading centres in the world”, where commerce runs in people’s veins. Local footage shows people at prayer inside mosques, and young children being taught the Quran, before moving on to a library where the presenter is allowed to turn the pages of the “biggest written version of the Holy Koran in the world”. Seated on a park bench, an elderly local Englishman tells him: “My father’s doctor, even thirty years ago, came from Iraq. They’ve always been with us.” Next comes a Yemeni halal butcher who learned his skills in Liverpool and a wealthy Syrian businessman in Manchester’s cotton trade. To this day, ninety per cent of Manchester’s 5,000-strong Syrian community is involved in the textile industry, especially in cotton and yarn. The films were designed solely for showing abroad and were probably never seen in the UK at the time. The reason I know about them is because a Syrian cotton merchant I interviewed in Manchester sent me the link to them. So I watched them all as part of the research for my book “The Merchant of Syria” about a textile merchant from Homs who comes to Bradford in the early 1980s as an economic migrant, buys a local mill called Briggella Mills, and builds up a global trade in broadcloth while all the other mills are closing down. Yet today, despite such success stories, over a third of the UK population believes Islam represents a threat to the British way of life, says a report launched by the anti-fascist group Hope not Hate. Islamophobia in 2018, according to their findings, replaced immigration as the main factor behind the rise of the far right. In a poll half of Brexit voters in the 2016 referendum and nearly half of Conservative voters in the 2017 election said that Islam was not compatible with Britishness. What went so wrong? It would be easy to lay the blame solely at the door of ISIS and its terrorist acts. But I believe the “hostile environment” presided over by Theresa May and David Cameron since 2010, years before ISIS declared its caliphate in Raqqa in 2014, also has much to answer for. The 1960s films were produced in the period following the Suez crisis, as part of a positive international relations initiative in a climate of strained relations between Britain and the Arabic-speaking world. If the British government’s policy since 2010 had been to create an inclusive multicultural society rather than a hostile nationalistic one, many of today’s political and societal dilemmas might have been avoided. President Trump’s clumsy messaging on Islam and terrorism obviously doesn’t help. President Bashar al-Assad makes no distinction between ISIS and other rebel groups – all are “terrrorists” to be annihilated, legitimate targets. He could have expelled ISIS years ago from their pockets of control in Hajar Aswad and Yarmouk in the southern suburbs of his capital Damascus. But he was content to let them to be there because since 2015 they were doing his job for him – fighting against the more moderate rebels in the suburbs and weakening them year by year. The famous photo from February 2014 showing the residents of Yarmouk under siege, flowing out like a river of humanity to get aid. But while I was inside Syria last week the campaign against them started, following on directly from the ‘liberation’, that is, total displacement of residents from Douma, the Ghouta’s most rebellious area. I stepped into the courtyard of my house and almost immediately the sound began of fighter jets – Russian ones by most accounts – flying in broad daylight across the centre of Damascus and almost casually dropping their cluster bombs on Hajar Aswad. It took me a while to see them, they were flying so much higher than I expected, but as my eye grew accustomed to them, I traced their course from the Mezzeh military airport, over the Presidential Palace, and in a loop over the southern suburbs and back again. It was utterly surreal. Yet this is the new normal inside Syria. A government dropping bombs on its own people, in its own capital, and everyone helpless to do anything about it. It is impossible not to think about the people being killed and maimed beneath those bombs. Even if they survive, thousands are sleeping in the streets, their homes destroyed. There is no longer any running water and the last hospital has been targeted and destroyed. The bombing continued all that Thursday 19 April and has been going on relentlessly for a week. ‘Trapped’ was the word I heard again and again, as people are forced to listen to the constant soundtrack of destruction. They feel totally helpless in the face of Assad’s overwhelming grip, backed by the might of Russian air power and military planning. Yarmouk was one of the earliest refugee camps in Syria, formed after 1948 when the first waves of Palestinians were displaced from the newly created state of Israel. It was home to 160,000 Palestinian refugees and over 100,00 Syrians. Now the survivors are being bussed to Idlib, where the final showdown awaits in this barbaric war. Today’s reality in Raqqa, claimed since 2014 as the capital of Islamic State, is hard to reconcile with its illustrious past as a leading city of the Islamic Golden Age. But Matthew Heineman’s powerful new film ‘City of Ghosts’, difficult to watch at times, does not concern itself with history. Its focus is the here and now, the story of the activist group Raqqa Is Being Slaughtered Silently (RBSS), whose members are risking their lives to send the outside world painful footage from inside Raqqa, in their mission to counter ISIS propaganda. The documentary – in Arabic, with subtitles – follows four of the group’s leading members over the course of a year, starting from late 2015, and includes material recorded covertly in the city by RBSS and other footage from the Syrian revolution. 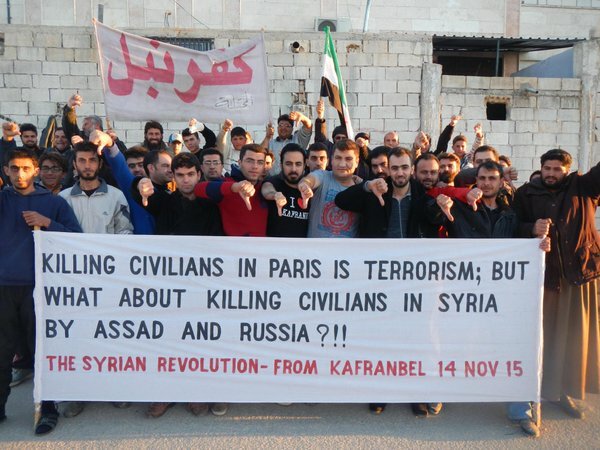 Nothing in Syria is straightforward and there are cruel ironies. The bird’s eye view given by aerial drone footage in the film’s early shots of Raqqa’s desolate flat landscape with its sprawling mess of modern buildings, is the same bird’s eye view the US-led coalition pilots will be getting from their cockpits as they bomb “a forgotten city in Syria” as Aziz, the main RBSS spokesman, calls his hometown. “A few thousand extremists,” he laments, “are deemed justification to blow up civilians.” But he was talking back in 2016, not about the massive aerial bombardment campaign currently being waged on Raqqa by the government of the same country that has just given his activist group a top press freedom award, but about the handful of token airstrikes the Assad regime and its Russian ally had seen fit to conduct against the ISIS capital up to that point. Over the coming months it is sadly inevitable that Raqqa’s civilians will be slaughtered all too loudly, as they get caught in the crossfire between ISIS mines and the majority-Kurdish Syrian Democratic Forces (SDF) seeking to ‘liberate’ them. The UN estimates that up to 50,000 of Raqqa’s original 300,000 inhabitants remain trapped inside the city as human shields, prevented by ISIS from leaving. The famous Caliph Haroun al-Rashid, immortalised in the tales of A Thousand and One Nights, moved his capital in 796 from Baghdad to Raqqa on the banks of the mighty Euphrates River. He built five hectares of palace complexes to symbolise his dominance of the region, from which his recreational summer palace Qasr al-Banat (Palace of the Maidens) and a colossal courtyard mosque with a 25m tower are all that remain today. The Syrian astronomer Al-Battani (858-929), who calculated the 365-day length of the solar year to an accuracy of within two minutes and who is quoted as a major source by Copernicus over 600 years later, lived and worked in Raqqa. But while future generations will forever associate Raqqa with savagery and Islamist terrorism, the University of Nottingham’s excavations of the 1990s focussed almost exclusively on another of Raqqa’s claims to fame – its 2km-long industrial complex where, from the 8th – 12th centuries, the city manufactured glass and pottery, becoming the Islamic world’s most important glass-making centre. The well-preserved glass furnaces produced green, brown, blue and purple glass on a commercial scale, made from quartz pebbles of the nearby Euphrates river-bed, combined with the ashes of plants that grow in the surrounding semi-desert environment. The skilled artisans were both Christian and Muslim, buried side by side in an area close to the kiln sites. “Death is death, as we say in Raqqa” declares Aziz, claiming he has gone beyond fear in his fight against the jihadists. Yet it is clear, as the film follows its four main members of RBSS, that their constant battle to report ISIS atrocities has taken its toll on all of them, as they chain-smoke to settle their nerves and steady their shakes. The opening scenes, juxtaposing the high glitz of the New York awards ceremony with horrific shots of decapitated bodies in Raqqa, capture this well, exposing the gulf between the two worlds. A female US photographer tries to shoot photos of Hamoud, the RBSS photographer, urging him to smile for the camera: “You’re so serious, my friend!” she exclaims. As the film moves back to Syria, it charts the heady days of the 2011 Revolution with its singing and peaceful demonstrations. “After forty years of Assad, we started to scream for freedom,” Aziz recalls, and the footage moves to Dera’a where “the deaths of fifteen children were the spark that ignited revolution”. He explains how he had no political background before then, and how his father, well-aware what would happen, warns him to stay away from journalism. The film’s main focus throughout is the danger to the men as activists, a shared danger which deepens their bonds of friendship. As ISIS seeks to silence them, and as their colleagues and family members start to be assassinated, they decide to leave for Turkey’s Gaziantep, assuming it will be safe to continue their work from there. But ISIS is not so easily deterred and their co-founder and mentor Naji Jerf is shot in broad daylight on the city’s streets. The intimate scenes shot at his funeral are among the most moving in the entire film. Some of the activists, including Aziz, are then granted expedited visas, immediate refugee status and free housing by the German government. Only Muhammad, a maths teacher, is married. His wife Rose is the sole female character to appear, and the film now shows footage of them all enjoying snowball fights in Berlin juxtaposed with surreal videos from Raqqa of casual street executions carried out by young ISIS recruits, their victims’ heads impaled on public railings. Mass destruction of satellite dishes is secretly filmed as ISIS cracks down on their activities, determined to cut them off from the world. Safely in Germany, they all suffer from survivors’ guilt. Hamoud, a self-described introvert, watches the video of his father’s assassination, posted online by ISIS, to “give me strength.” Meanwhile the friends experience the harsh reality of a Pegida anti-immigrant rally with heavily tattooed Germans chanting “One-way ticket to Turkey! Deport them!” Aziz is offered German police protection, from ISIS and from Pegida, but refuses it, feeling he cannot accept a protection that his friends lack. A clear sense is given of how ISIS’s own films and propaganda material has become more professional through recruitment of media specialists, using Hollywood-style special effects to boost membership, making the ISIS lifestyle seem like a glorified video game. “Why play it online when you can play it for real?” reflects Aziz. downstream from Syria’s largest reservoir Lake Assad, and the main hydro-electric dam at Tabqa, together with its proximity to the country’s oil and gas fields, would give the pretender caliphate a disproportionate stranglehold on Syria’s infrastructure from the start. This part of Syria, well-watered, fertile, cotton and wheat-rich, should be the wealthiest in the country, but Bashar al-Assad’s regime, unlike his father’s, has always been urban-focussed, treating the assets of the provinces like possessions to be milked as if they belonged to his personal farm. The film ends with a warning. In his speech to the assembled New York glitterati, Aziz explains that the conditions and structural problems in Syrian society which enabled the rise of ISIS are still there. Even if their territory is lost, he reads in halting English from his script, their ideology will continue to find supporters among the brutalised and unemployed youth with nothing to lose. When Hamoud becomes a father in Germany (his wife is invisible) the responsibility changes everything for him: “I don’t want my child to struggle like me without a father.” He names his new-born son after his assassinated father, and footage moves from the German hospital where the naked baby gurgles and kicks, to a chilling scene showing Raqqa’s Caliphate Cubs chanting death slogans. A child barely older than a toddler uses a huge knife to saw the head off a startlingly white teddy-bear, then beams, holding up the head triumphantly for the camera and squealing Allahu Akbar on cue. To recover from such barbarity I recommend a visit to the glass displays of London’s V&A Museum. Gaze at the exquisitely delicate Raqqa perfume bottles, and ponder the fall of such a city, which in happier times centuries ago was known for its beautiful artisanal creations, its earth-changing scientific inventions, its multicultural environment and its magnificent summer palaces – all fostered by an enlightened, outward-looking Islamic state. 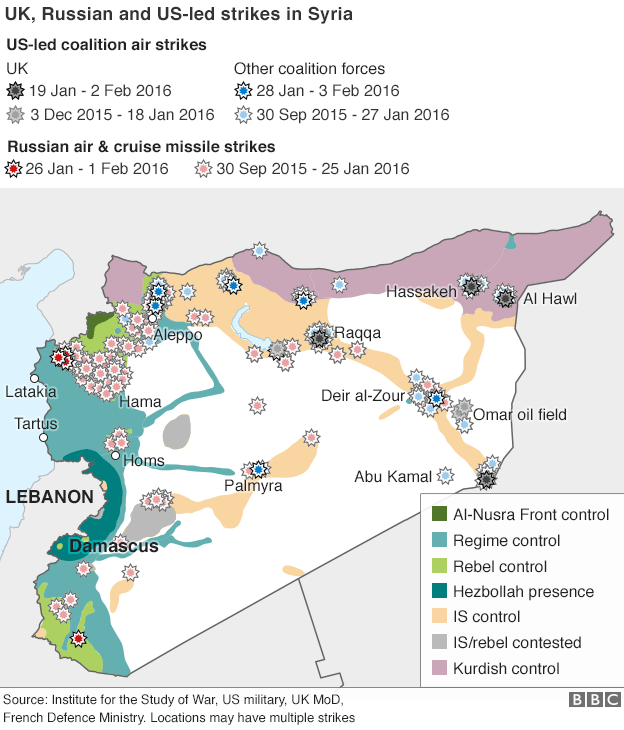 No one seriously believes the ‘postponed’ peace talks at Geneva 3 will take place on 25 February 2016 as scheduled by the UN’s Syria envoy, Staffan De Mistura. Like his two predecessors, Kofi Annan and Lakhdar Brahimi, both of whom resigned in despair, De Mistura is trying to lead a peace process backed only by the impotence of the UN and its increasingly violated and empty resolutions. While Ban Ki Moon and others express outrage about ‘unacceptable’ behaviour, the realities on the ground are making political and diplomatic posturing irrelevant. Russia’s unprecedented air bombardment began on 1st February, as the talks in Geneva were trying to splutter into life. With no warning hundreds of bombs were rained down on rebel-held territory north of Aleppo, displacing thousands of families from their homes. Two days later De Mistura suspended the peace talks, exactly what Russia wanted. Intensifying their momentum, the Russian airstrikes within days went on to ‘liberate’ the Shia pro-regime villages of Nubul and Al-Zahra and push north towards the Turkish border at Kilis. Chief losers in this ongoing battle are what remains of the armed opposition north of Aleppo, the 70,000 displaced families now stuck either in the town of A’zaz or in the no man’s land between the Turkish and Syrian border at Bab Al-Salama. 500 people have lost their lives since the Russian airstrikes began 10 days ago. Chief winners are the Russians, the Iranian Republican Guard and Hezbollah fighters battling on the ground alongside what remains of the Syrian Assad army, now so depleted by deaths, defections and draft-dodging that it is but a shadow of its former strength. But the biggest winners of all are the Syrian Kurds, the PYD whose efficient fighters were perfectly placed in northern Syria to take advantage of the Russian bombardment. As the areas were depopulated they moved in to increase the territory of their semi-autonomous region of Rojava. They have made huge progress since 2014, as the maps below show, and now control close to 20% of Syria, consolidating their hold on their three cantons. 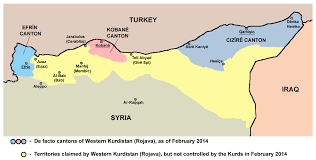 Their dream is to link up the western canton of Afrin with the two eastern cantons of Kobani and Jazira, currently separated by a tract of lawless land between A’zaz and Jarabulus controlled partly by ISIS, partly by Turkmen and Arab rebels. But all this is a nightmare for Turkey, not only because President Erdogan regards the Syrian PYD Kurds as an offshoot of the Turkish Kurdish militant PKK group, but also because the US under the Obama administration has in recent days even sent a delegation under Brett McGurk, the US’s special envoy to the anti-ISIS coalition, to visit Rojava, and has pronounced them not terrorists but allies in the fight against ISIS. Erdogan is furious, accusing his supposed ally America of self-interest and betrayal. Even worse, Russia is arming and training the PYD Kurds, so both Russia and the US are together supporting Kurdish aspirations. Will he be able to contain his rage and not send in Turkish troops to challenge Russia, Iran, Assad and the Kurds? Is he prepared to lose control of his whole southern border to a new Kurdish entity? Will Saudi Arabia (and the UAE and Bahrain) make good on its offer to send 150,000 ground troops onto that same patch of disputed land? The thousands of displaced refugees now building up on the Syrian side of the border may give him that chance, to enter Syria on a humanitarian ticket and create the safe zone he has wanted to set up since summer 2011 but which was never supported by NATO and the international community. Up to 400,000 additional refugees could flee from Aleppo itself and add to the thousands at the border if the city, once Syria’s biggest, is encircled and put under siege. Turkey’s position today is stronger than at any previous time in this five-year war, because of its powerful role in controlling the flow of migrants into an overwhelmed and vulnerable Europe. Erdogan’s AK party won a convincing election last November. But Turkey’s position is also more dangerous than ever before. Setting up a safe zone four and a half years ago would have been child’s play compared to now, when so many external actors are involved. ISIS did not even exist then. But the threat of ISIS pales into insignificance compared to the danger of Turkey and Russia sparking a confrontation in exactly the territory around Dabiq, where ISIS propaganda tells us the stage is set for Armageddon. 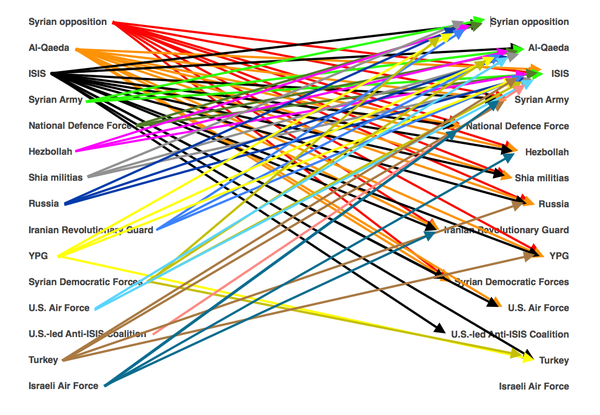 Syria’s war, after five years of unexpected twists and turns, is now way out of control, with a dynamic all of its own. No single state or actor, or group of states can dictate its course, not even Russia. 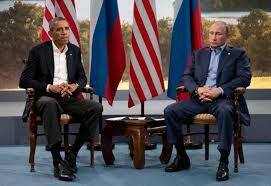 Putin may consider himself invincible but even he cannot control what happens next inside Syria. As each day brings new escalations and dangers the spectre of World War III no longer seems like a far-fetched threat. How much worse can it get? So silent for so long on Syria, the international community has finally been jolted out of its slumber. “Let them kill each other. It’s so far away and nothing to do with us.” The wake-up call came in the form of the Paris bombings of Friday 13 November and the massive media focus on their aftermath. Now that the dangers of allowing ISIS to thrive in the vacuum of Syria’s chaos have finally exploded in Europe, the nature of the conflict has changed in most people’s minds. Suddenly Syria looks different. 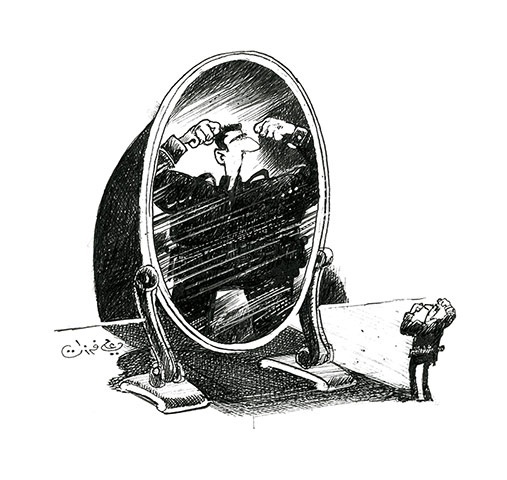 In reality nothing has changed at all in Syria’s tragic crisis. Simply our perception of it has changed. Syria’s first revolution which, lest we forget, began with peaceful demonstrations in March 2011, was hijacked long ago by extremists masquerading as Muslims -ISIS moved into the Syrian provincial capital of Raqqa as long ago as spring 2013, but no one paid attention (except Father Paolo, who paid the price https://dianadarke.com/tag/father-paolo-dalloglio/). Like a germ left undisturbed in the perfect environment, ISIS multiplied exponentially. Coming hot on the heels of the largely ignored 12 November Beirut bombings and the much publicised 31 October Rusian plane crash in Sinai, the 13 November Paris bombings were cleverly timed to be a day before the 14 November Vienna international talks on Syria and the 15 November G20 talks in Turkey’s Antalya. ISIS planners wanted maximum world attention and they succeeded. The 33-year old US/Syrian ISIS Head of Media is not paid a fortune for nothing. So now what? All the signs are that the international community is ready to unite and take action, especially after confirmation that the Russian airliner was definitively downed by an ISIS bomb. The chief outside players in what the media insists so cruelly on calling Syria’s “civil war” (as if this war is the fault of the Syrian people) have been stoking this war in their own ways. Russia and Iran with their military and tactical support for the Assad regime are heavily involved on the ground inside the country, while Saudi Arabia, Qatar and Turkey have been feeding in weaponry to their preferred rebel groups but careful to do it from the sidelines, no actual boots on the ground. The US-led coalition of 60 countries has been dropping bombs on ISIS for over a year to little effect. Russia has been dropping bombs on opposition groups inside Syria, usually not ISIS, for the last six weeks, also with little effect. Everyone realises it is time for something new. And that is the key. In Syria’s second revolution there must be unity among all Syrians. Even “the silent majority” and the “greys”must find their voice. Most Syrians living under ISIS are there by coercion, longing for their nightmare to end, praying for someone to set them free. There is still a sense of what it means to be Syrian. Partition, convenient though it may appear to outside governments looking for quick-fix solutions, would be a disaster, resulting in massive ethnic cleansing and waves of emigration on a scale Europe cannot imagine. This time the international community must not abandon Syria, as it did during the first revolution. For all our sakes, Syria’s second revolution must succeed. Syria’s Director-General of Antiquities and Museums made his first ever trip to the UK yesterday, on what he described as a one-day visit, ahead of similar visits to Paris and Rome. The most surprising thing was that he was granted permission to exit Syria, and the second was that he was granted a visa to enter the UK. The Syrian government is very keen, ahead of the Vienna talks, to show its cultural face. And Professor Dr Maamoun Abdulkarim did a good job. In his 45 minute talk, accompanied by many images, the DGAM head addressed a large audience of over 500 in the Royal Geographical Society’s Ondaatje Lecture Theatre, in halting but intelligible English for which he apologised, saying his English was “new”, only learnt 18 months ago. French is his main foreign language. The talk was titled “Syrian Cultural Heritage during the Crisis 2011-2015” and was supported by the World Monuments Fund Britain. The DGAM chief steered a careful course, talking of “one heritage for one people, no politics, humanity heritage”. 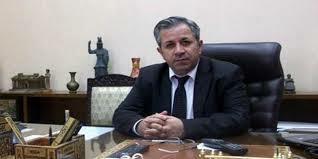 He described how he and his 2,500 staff in the Directorate General of Antiquities and Museums were in charge of Syria’s 10,000 sites, 34 museums and their 300,000 artefacts, doing their best, working in both government-held and opposition-held areas of the country, with the cooperation of local people. He told how they had emptied 99% of the contents of the museums and carefully boxed them up, after first doing detailed database information on them, then put them in safe places with anti-theft alarms and extra guards. He hoped that in two or three years’ time, the collections might be able to be brought out again and returned to display in the museums. Three hundred of his ex-students were among the staff helping, he said, showing pictures of them preparing the thousands of packing cases. 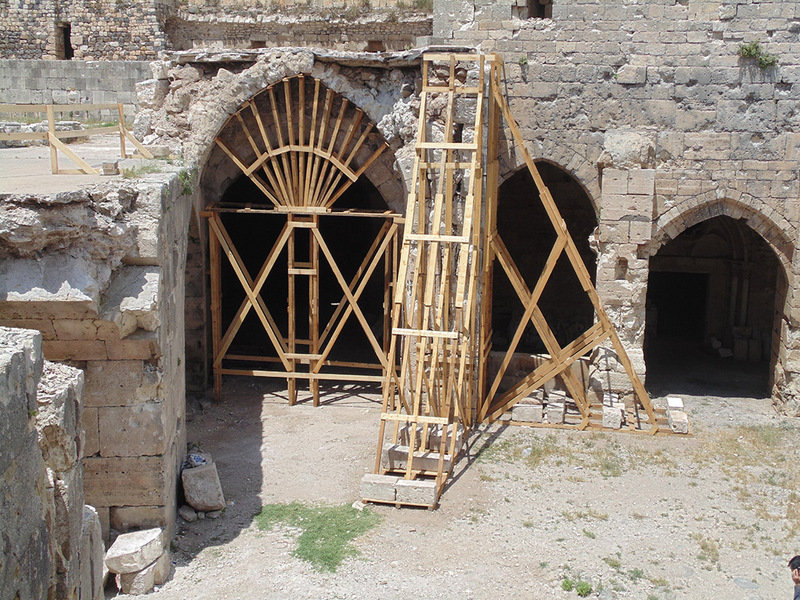 He showed photos of the damage in Homs old city, saying they were now restoring the churches, and that the damage inside Krak des Chevaliers was being repaired – Phase One of the repair was complete and the castle was open, he said. At Maaloula he also said journalists had been allowed in to see repair work at the monastery of Mar Serkis. No mention was ever made of which side had caused the damage – unless it was ISIS. 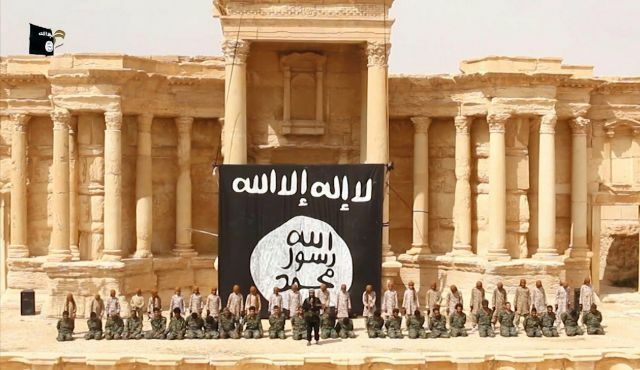 At Palmyra he showed the before and after photos since the ISIS takeover in May 2015, promising that he would rebuild the Temples of Bel and Baal Shamin, the Triumphal Arch and the funerary towers. They had the necessary documentation, he insisted. 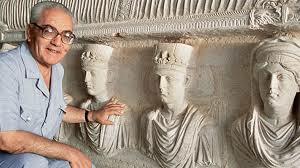 He paid tribute to Palmyra archaeologist Khaled al-As’ad, beheaded by ISIS. In Bara and other Cities of the Dead he said they had successfully persuaded local people living in the ruins after their homes had been bombed, not to cause damage to the stones by lighting fires. He mentioned that these 700 Byzantine era towns were his own speciality. In Apamea, Doura Europos and Ebla he showed photos of massive-scale illegal digging and looting, but said that in Ebla they had now secured the site against further damage. He showed photos of the mosaic museum at Maaret Numan and said they had protected it with the help of local people. In Bosra he showed photos of people clearing the vegetation from the tiers of the Roman theatre, saying they were working with the opposition groups now controlling Bosra, to protect the site. 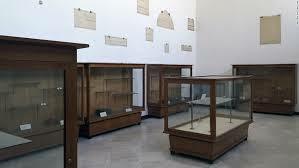 He spoke of how 6,000 stolen artefacts had been recovered by Syrian police. He thanked INTERPOL, UNESCO, ICOMOS and the World Monuments Fund, and expressed his gratitude to expert help from the British Museum and Durham University. He received loud applause, was praised as “a hero” by his host, John Darlington from the World Monuments Fund, and was then rushed off to an interview with Sky News. What does Erdogan’s election victory mean for Turkey, ISIS and the Syrian Kurds? Turkey’s conservative Muslims have spoken. What’s more they have spoken loudly, defying the polls and the expert predictions, returning President Erdogan’s conservative Islamist-leaning AK (Justice and Development) Party to power with its longed-for parliamentary majority, lost at last June’s elections. The Turkish lira and stock market have surged with relief. Electoral turnout was 86%. It is a mandate most politicians can only dream of, winning a thumping 50% of the vote, a vote of confidence in Erdogan himself, whose simple mantra: Choose me or chaos, worked. Love him or hate him, Erdogan is an ace politician, a “master of optimization”, more able than any of his rivals to turn the recent turmoil in Turkey’s security situation to his advantage. Threatened with instability on its 900km-long Syrian border, and with internal terrorist incidents ratcheting up markedly since June, it appears that Erdogan, Turkey’s authoritarian leader for the last 13 years, is widely perceived as the only politician with the strength and experience to handle such challenges. His gains came at the expense of the far-right MH (Nationalist Action) Party and the left-wing HD (People’s Democratic) Party, both of which lost seats to 41 and 59 respectively. Significant here is that the HDP overtook the MHP for the first time, despite not even campaigning, a protest against Erdogan’s bullying tactics. Their charismatic new leader Selahattin Demirtas can take much credit. His time will surely come, but not yet it seems. For now, it is still Erdogan’s Turkey. Travelling regularly throughout Central Anatolia and Eastern Turkey since the mid-1980s, I have observed first hand the dramatic changes that Erdogan’s AK Party has brought to those regions, especially the dominantly Kurdish provinces of the southeast. Far removed from the affluent Aegean and Mediterranean coastal areas where the secular CHP (Republican People’s Party) still holds sway, Turkey’s traditional heartlands were long neglected and ignored by politicians. Erdogan changed all that, investing in massive infrastructure projects like improved road networks and high-speed trains heading east. The controversial series of dams on the Euphrates River generated much-needed hydroelectric and water resources to launch new agriculture ventures in the southeast, bringing employment and prosperity to areas formerly suffering from poverty and deprivation. The Anatolian Tiger cities like Konya, Malatya, Kayseri and Gaziantep have boomed, bringing to the fore a new breed of conservatively Muslim entrepreneurs, sometimes described as “Islamic Calvinists”. On my last stay in Gaziantep I met such a family, where the father was a successful lawyer, the mother was a biochemist in a local hospital in her day job, writing Turkish cookbooks and restoring the family courtyard house into a boutique hotel in her spare time. The three sons were all businessmen, and even the youngest, only 15, was already trading in mobile telephones across the border with Syria. As well as presiding over the economic and agricultural transformation in Turkey’s heartlands east of Ankara, Erdogan has also been the first politician to make real moves towards reconciliation with the Kurds and other minorities like the Syriacs, instituting language and cultural rights, and initiating a peace process (currently stalled) with the cooperation of Abdullah Ocalan, imprisoned leader of the PKK Kurdish separatist movement. Since the Syrian Revolution of March 2011 gradually evolved into a regional proxy war displacing half the population, Turkey has hosted the largest number of Syrian refugees, some three million. 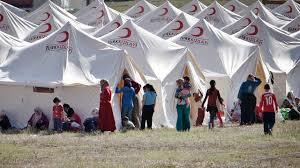 European leaders are only just waking up to the problems of accommodating Syrian war refugees, but many Syrians are grateful to Turkey for its humanitarian open-border policy towards them, allowing them access to schooling and healthcare at huge cost to its own national budget. Hospitality is a core Muslim duty, carried out without fuss or fanfare. Western media have given Erdogan a hard time in recent years for his vanities and authoritarian excesses like his absurdly grandiose White Palace with its gold toilet seats, together with his hawkish silencing of media opponents. But for the time being, it is a simple fact that there is no one else of his stature on the Turkish stage. So what direction will Turkey take now? Yesterday’s decisive election victory stopped just short of the “super-majority” needed to give himself French or American-style presidential powers, but he will probably wield them anyway. Erdogan does not underestimate the challenges facing his country. He has more reason than most to want an end to the Syrian war, an end to the Kurdish PKK insurgency and an end to the spread of ISIS terrorism. If that means arriving at a conciliation with the Syrian Kurds in the form of Saleh Muslim’s PYD, and uniting with them in the fight against ISIS, that may well be a move he is prepared to make in order to restore stability to Turkey. It is in both their economic interests and Erdogan did after all reconcile with the Iraqi Kurds, enabling Turkey to become Iraqi Kurdistan’s biggest trading partner. And who knows, the “Islamic Calvinists” of the Anatolian Tigers might yet present the pseudo-Islamic caliphate of ISIS with its greatest ideological challenge.